Not too late to go. 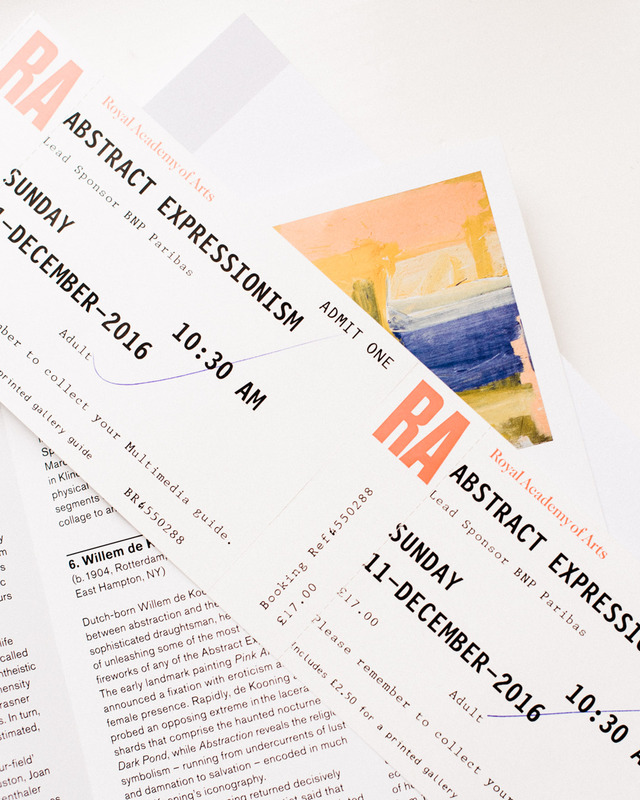 Abstract Expressionism is in the Royal Academy of Arts in London until January 2, 2017. A wonderful thing about big cities like London is the art scene. Whenever you feel like visiting an exhibition, something interesting is on snow, the finest pieces of art from around the world, as well as emerging talent. I was happy to visit the Abstract Expressionism exhibition in the Royal Academy of Arts last weekend. Along with showing works of big names such as Mark Rothko and Jackson Pollock, the exhibition gave good glimpses of the creative energy that put New York in the center of the western art world in the 1950’s. The exhibition is beautifully curated and displayed. There is a small room dedicated to Rothko, and you can feel something shift as you enter it. His paintings are as amazing as they say. Being with them is like you entered a different world for a moment, you sense their emotion. Dominated by men, the exhibition features only one female artist, one of the greatest there is, Joan Mitchell. Her oil painting Salut Tom, 1979, is a four-part canvas that measures nearly eight meters in width. Salut Tom ends the whole exhibition and it will make you smile with its luminosity. If you cannot make it to the exhibition this time, better than looking at a picture, you can experience the painting in 60 seconds here. Watch the clip and you will be just happy to know this kind of light and energy exists in the world.